I hope everyone had a happy and blessed Christmas yesterday! 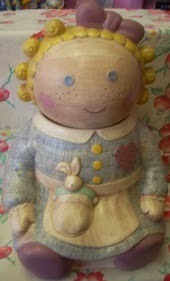 Wow, for today's Inspiration Challenge, Shirley has selected some very, very adorable cookie jars for your inspiration!! Check these out! Each of these just make me smile! 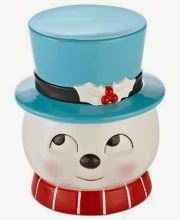 I chose the adorable snowman cookie jar for my inspiration and used the set Snow Gifts by MFP! 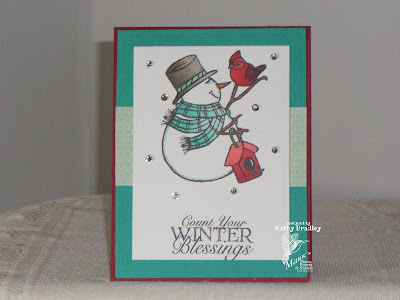 Be sure and hop over to SpeedyTV's Inspiration Challenge 43. Not a member of SpeedyTV - no problem, it's free and easy to join. Use the hot link to get to the challenge. Click on Challenge 43 and there you are! Check out the work of the Design Team for even more inspiration. And, remember, there is always a prize to the winner! o how sweet and beautiful Kathy. I was going in the snowman direction too and got derailed along the way - lol! Your card is sooo cute and I love it. Love the colors and the message is an important one. 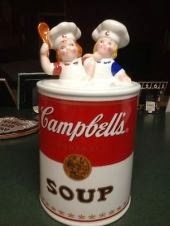 Kathy, I hope your Christmas was wonderful and you received plenty of crafting toys! Hugz! So cute and I love those colors. I like how you added the rhinestones for snow.